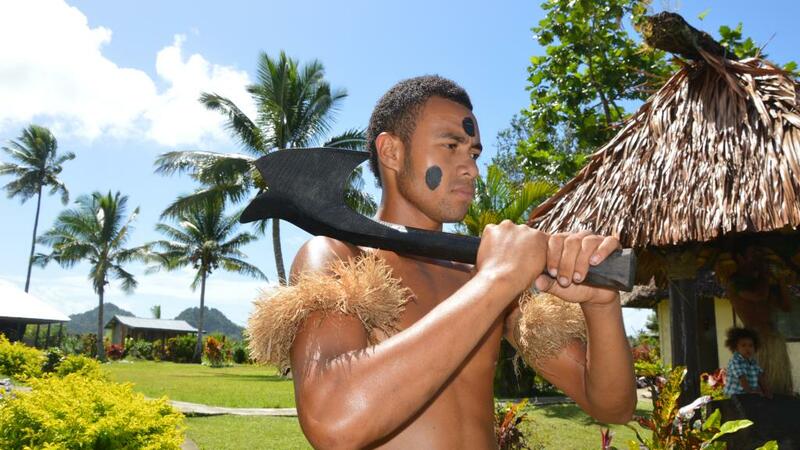 The Fijians are pretty easy-going, but if you are invited into a village, wear modest clothing and take off your hat (wearing one is an insult to the chief) when in the village. Leave your shoes outside the door when entering a home and keep in mind that it's also insulting to touch someone's head - which can be tempting when you are surrounded by wide-eyed, smiling children. If you are invited to drink kava, don't ask, just enjoy the ritual and the tumb noungue, sorry - the numb tongue. When visiting a village, it is customary to present a gift of kava, which is also known as "yaqona". The gift, (a "sevusevu"), will cost less than F$20 for a half kilo. If you are accompanied by a guide, he/she will look after that. 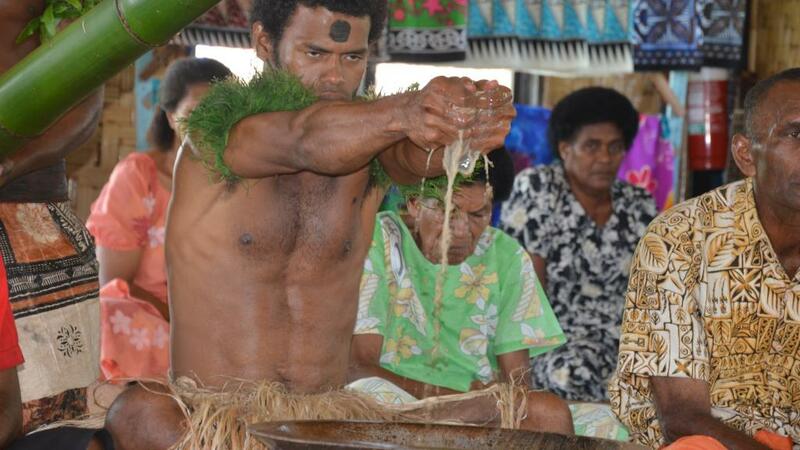 The sevusevu is presented to the traditional head of the village ("Turaga Ni koro"). After it's been pounded into powder and mixed with water, it is usually served in the head person's house. Be prepared to shake hands and answer personal questions like, where are you from, are you married, how many children do you have… and so on. Fijians are the friendliest people in the world. Your respect for their customs and traditions will not only make you a welcome guest in their villages and homes, but add another dimension to your Fijian holiday. For the lovo, meke and yaqona (kava) cermonies. Dig a hole 60cm (2ft) deep and 72cm wide. If the soil is damp, spread a layer of ash in the bottom of the hole before putting in the stones and wood. Light the fire and keep it going until the stones are red hot, then move the unburnt wood and coal and spread the stones out to make a platform for the food. LovoTraditionally, the food will consist of cassava (tapioca), kumala (sweet potato), yam and taro - all of which should be peeled. Wrap a shoulder of leg of pork or ham in foil (and/or chicken, fish or lamb) and place in the oven. Put the big stuff at the bottom and the things that need less cooking at the top. Cover the feast with banana leaves or coconut stalks and damp sacks provide the final insulation. Cover the lot with soil and pour yourself a drink. The food will take around two hours to cook. There are two groups in the make - the orchestra (Vakatara), who sit on the ground and sing or chant for the second group, the dancers (Matana). The instruments are percussion (hardwood gongs, bamboo tubes, beating sticks etc). For the Meke the performers wear garlands of flowers (Salusalu), the men wear full warrior costume and the women, in traditional clothes, glisten with scented coconut oil. Yaqona (pronounced yangona) is Fiji's national drink. It's made from the pulverised root of a member of the pepper family. It's believed to have medicinal qualities (apart from making you feel mellow). When mixed, a server will carry a cup ('bilo') to the chief guest, who must clap ('cobo') once before and after completely drinking the first cup. The order of serving depends on the status of those present, from the highest-ranking chief down. Drinking yaqona has proved to be a great social unifier - it's hard to be angry with someone after sharing kava - and it usually leads to relaxed chat not unlike that in a casual bar. 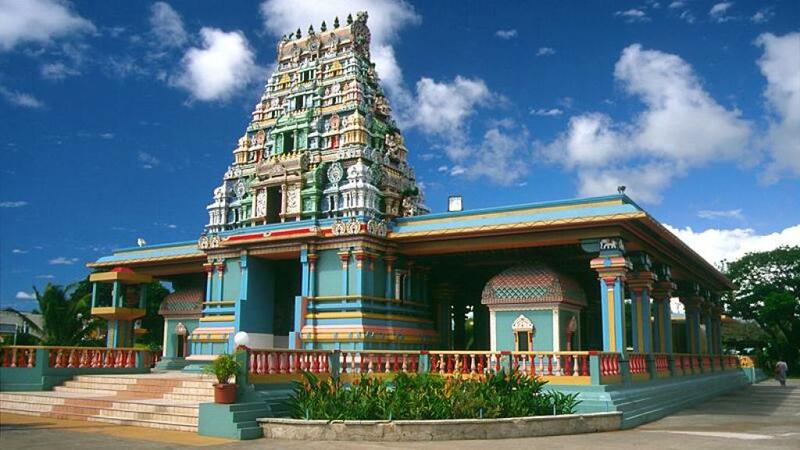 Visitors will find Christian churches, mosques, and Sikh and Hindu temples throughout the country. Visitors are more than welcome to join the locals for Sunday worship and it's highly recommended, even if you're not that religious. A Methodist service will give you a good insight into how the Fijian village culture is structured and why the people are so friendly and family-focussed. You may not understand many of the words, but the singing and ceremony will stay in your memory. One of the great things about this Pacific paradise is that everyone speaks English as well as Fijian or Hindi - although there are a few idiosyncrasies. Any word with a 'd' has an unwritten 'n' in front of it - Nadi is pronounced 'Nandi' and the delightful cold, marinated seafood dish kokoda, is 'kokonda'. You put an 'm' before the 'b' in words like Toberua (Tomberua). Sigatoka is 'Singatoka', Naigani is Ninegani'. And a 'c' is pronounced 'th', as in the Mamanuca Islands. Note: Greetings may be shortened, for example - Ni sa bula can be just 'bula', ni sa yandra can be just 'yandra' and sa moce can be simply 'moce'.